Music can stir such improbable memories . . . | A balanced diet . . .
Music can stir such improbable memories . . . It was a Saturday afternoon in September 1970. I’d arrived in Birmingham less than two weeks before to start an MSc degree on plant genetic resources at the university. However, I’d spent the first week of classes holed up in the university medical centre where I’d had two impacted wisdom teeth extracted under general anaesthetic. Back home in my digs¹, I was taking it easy, feeling sorry for myself, with a very sore mouth indeed. I’d been listening to a folk music program on the radio. I don’t remember the actual details. What I do remember very clearly about that afternoon, however, was listening to what must have been a pre-release of a beautiful track, Lovely on the water, from the second album (Please to see the king²) of the electro-folk group Steeleye Span. And I’ve been a fan ever since. I saw them in concert twice in Birmingham before I moved to South America in January 1973. The first concert, held in one of the university halls of residence was brilliant. Peter Knight on the fiddle was clearly inebriated, but his playing was unbelievable. The sound balance and level for the relatively small hall was just right. The second concert was at Birmingham Town Hall, a much bigger venue. By then the group had become more rock focused, the sound level was too high and almost painful. Not such an enjoyable experience. But there are some twists to this story, as I’ll explain below after you’ve had chance to listen to Lovely on the Water. After the radio program was over, I decided to take a brief nap. 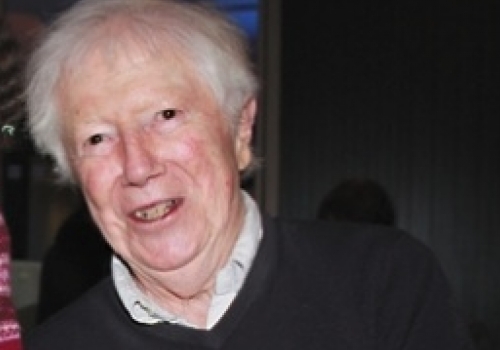 I’d planned to meet an old friend, Allan Mackie, from my undergraduate days in Southampton, for a pint at a pub in the city centre later that evening. We would meet there from time-to-time. I woke up more than an hour later. It was already dark. I quickly realized that my mouth was full of blood, and the pillow was stained a rather bright red. I’d haemorrhaged while asleep. I dialled 999 for assistance, and very soon afterwards an ambulance turned up outside, blue lights flashing, and I was rushed into the Dental Hospital (part of the University of Birmingham) in the city centre. The medical staff stanched the haemorrhage after about an hour, when they felt I was safe to be discharged. The problem was that I’d left home without my wallet. I didn’t have any money on me whatsoever. Fortuitously, the pub where I was due to meet Allan was just around the corner from the Dental Hospital, so I set off there to see if he had hung around, even though I was late (no mobile phones 45 years ago). I was very relieved to see that he’d not gone home, and he was propping up the bar, pint in hand. Once I’d downed a couple of pints of Ind Coope Double Diamond, he lent me a couple of pounds, and I made my way home by bus. Now the reason all this has come to mind right now is that I have been listening to a lot of music in recent days, since I had my mishap and am unable to do much but sit in a chair all day with my broken leg in the air. I was working my way through all the Steeleye Span CDs I have. And that brought back memories of when I first joined the University of Southampton as an undergraduate in October 1967. Having an interest in folk music, a Sunday evening spent in the Students’ Union at the weekly Folk Club became a regular fixture on my list of entertainments. 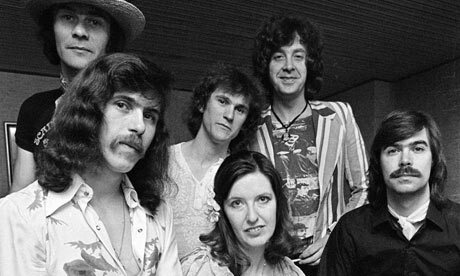 Now Steeleye Span only formed in 1969, but two of the members were Tim Hart and Maddy Prior who sang at the Folk Club quite frequently over the three years I was in Southampton. They were quite popular on the folk circuit, and had released two well-received LPs of traditional folk songs. In 1971 they released their widely-acclaimed LP Summer Solstice. Click on the album cover below to listen. That’s me on tea-chest bass. My continuing interest in folk music had grown out of an earlier 1950s interest in skiffle music, which I’ve blogged about elsewhere. But in the early 1960s, it was The Beatles, The Hollies, Herman’s Hermits and a host of other rock and pop groups that took my fancy. I’ve never been a Rolling Stones fan. However, I always returned to my folk music roots: The Ian Campbell Folk Group (with the inimitable fiddler Dave Swarbrick who later formed a duo with Martin Carthy [an early member of Steeleye Span], and was a member of Fairport Conventionn), The Dubliners, The Corries, Robin Hall & Jimmy Macgregor, among others. Here are The Corries with Flower of Scotland (recorded in 1968 ), that has—to all intents and purposes—become the unofficial national anthem of Scotland. All these memories came flooding back, just because I’m sat here with time on my hands. And while researching snippets of information for this blog post, I also unearthed another jewel. In 1965, a Geordie singer, Bob Davenport released an LP, Bob Davenport & The Rakes, which my elder brother Ed bought, and it quickly became a favourite of mine. I’m not sure how, but I inherited it from Ed, although it was lost in Turrialba, Costa Rica following a burglary in my house. Now this Bob Davenport & The Rakes LP had never been released as a CD. Until now. 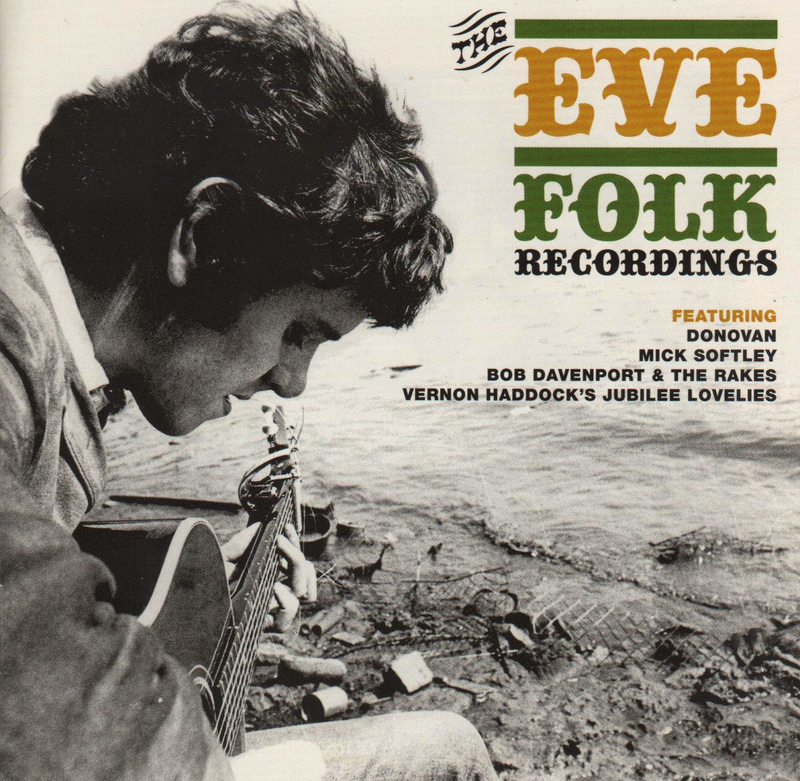 And last week, as I was surfing through various Google searches, I discovered that it, and other recordings by Donovan, Mick Softley, and Vernon Haddock’s Jubilee Lovelies had been released in 2014 as The Eve Folk Recordings (RETRO D957). There’s an interesting review here. I did a bit of folk singing myself, and a few of the tracks on the Bob Davenport LP became part of my repertoire. I even sang this song, Old Johnny Booker at a folk evening jointly held with the local girls’ convent school, St. Dominic’s when I was in high school in Stoke-on-Trent. One Folk Club evening in Southampton, Bob Davenport was the guest singer, and I asked him if I he would mind if I sang Old Johnny Booker. He was most gracious and supportive. So, there you have it. Just listening to a single track, and all these other stories began to take shape. 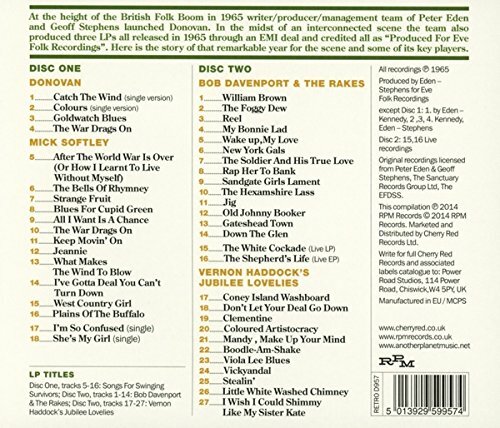 So, to end, here is another classic song, William Brown from that Bob Davenport album, accompanied by The Rakes. ¹ Digs: an informal term for lodgings, actually a bedsit. ² Released in March 1971. This entry was posted in Musings from the past, On my mind . . ., People, Southampton and tagged 1960s, Bob Davenport, folk music, Steeleye Span. Bet you used to frequent The Bay Tree and the Joiners Arms! Not that I remember. The names don’t ring a bell. Have they changed since the late 60s? It was the late sixties I was referring to. The Moody Blues used to play regularly at The Bay Tree which was pulled down long ago. The Joiners is still going in St Mary’s street. Perhaps you went to a different folk club. Thanks for the update. The Folk Club I mentioned was that in the university Students’ Union. Thinking back now it was mainly the art college students and locals that went to the places I mentioned. Still I enjoyed reading your post.